On Sunday 27th January, Jordan participated in the 2019 Beyond Dance Event. This is a dance and singing competition help at Cowes Cultural Centre in Phillip Island to raise funds for Beyond Blue. 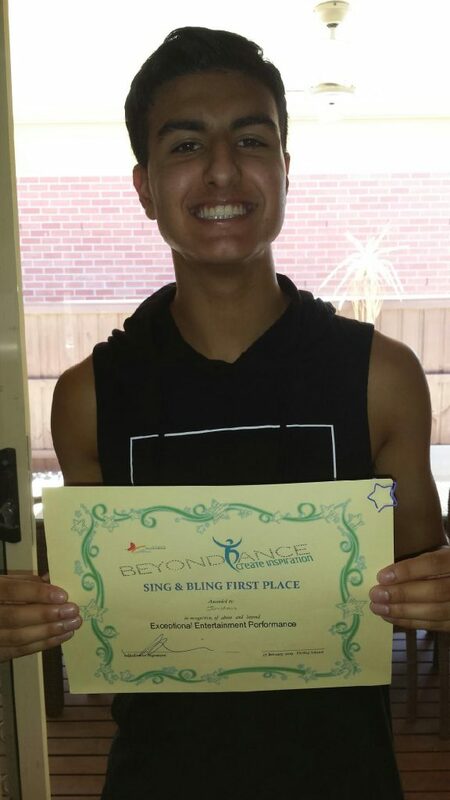 Jordan competed in and won the ‘Sing and Bling’ section for his age group. He was also asked to choreograph the opening dance number with a group of dancers. Anyone who has seen Jordan perform at our Freedom Events knows that he always spices up his performances with some of his amazing dance moves. We love giving our students the confidence to get out into the community and strut their stuff! Congratulations Jordan! We hope to see you at a performance event soon! PreviousIntroducing our Musical Theatre Class!